Update Your Menu Using the Industry's LARGEST Catalog! 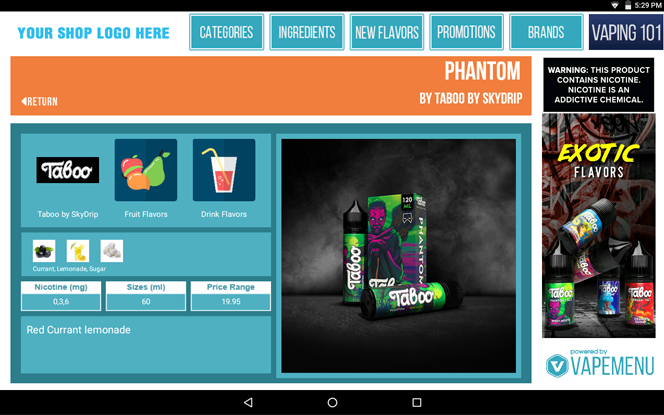 The Tablet app allows you to put all of the ejuice flavors that you carry, so customers can easily browse all of the great brands and flavors! This makes shopping and finding their favorite flavors quick and easy! 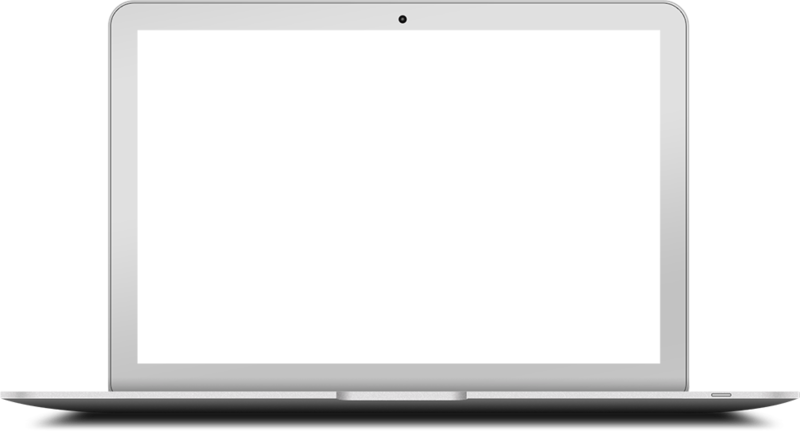 The Control Panel is very easy to use, and lets you add brands and promotions to your menu in seconds, from anywhere on Earth! 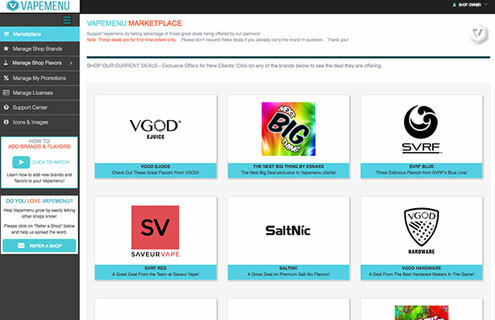 You can also snag great wholesale deals on new brands for your shop in the Vapemenu Marketplace! There are two ways to get FREE tablets! 1 If you work directly with any of our sponsors (See "Sponsor Section" below) you may be eligible for one free tablet! 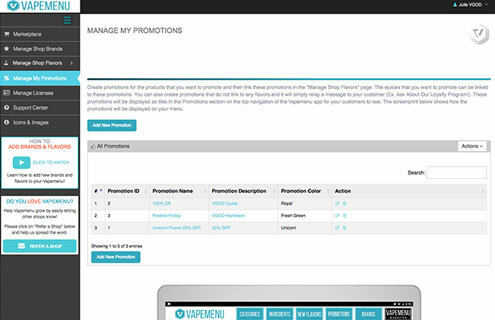 Contact your sales rep and ask for their Offer Code which you'll input during signup. A one time shipping fee of $19.95 is charged in order to receive your free tablet. 2 Don't work with any of our sponsors? 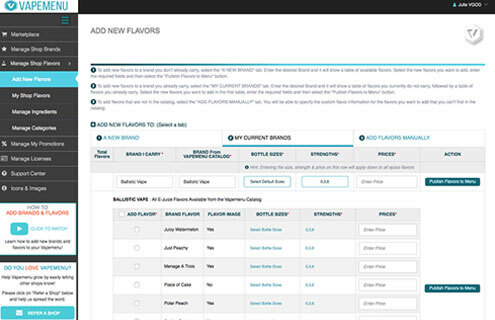 Once you sign up to Vapemenu, log in and use the Vapemenu Marketplace to select a great Welcome Package deal offered by over 20 brands that will also include a free tablet! You will receive a FREE Vapemenu Tablet from participating Brand sponsors who offer it FREE with your first order. That means you can have multiple FREE tablets for your store! Do You Work Directly With One of Our Partner Brands? 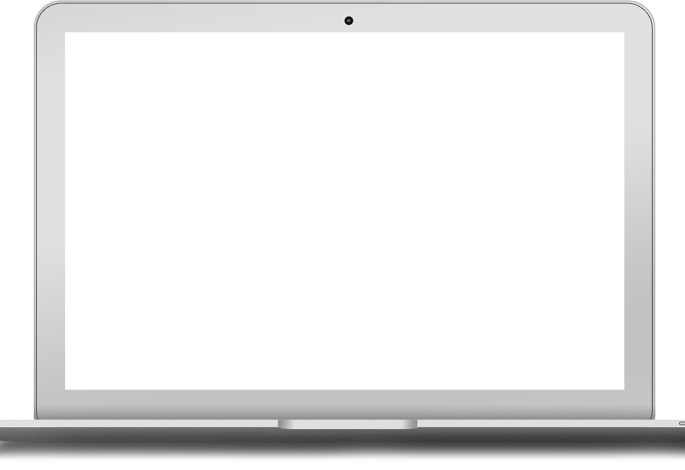 Reach out to them and ask for a promo code to use when you sign up, and you'll be eligible for One FREE Tablet & Stand! All you'll need to pay is $19.95 for shipping. If you are purchasing tablets other than the ones we have tested, these are the required specs - we recommend you test out the tablets as soon as you purchase them to ensure they display correctly. Do You Work Directly With One of These Brands? Contact Your Rep and Get a Code for a Free Tablet! Vapemenu Chats With Vape Capitol! 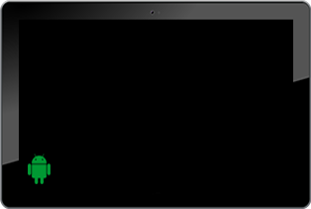 Q: Which tablets & stands are compatible? A: Vapemenu does NOT run on Apple devices, as Apple prohibits vaping apps from existing on the App store. 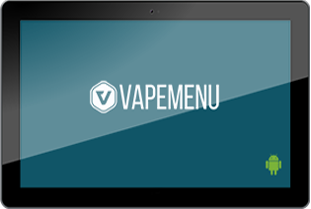 We can only guarantee that Vapemenu will display perfectly on the following tablets. Q: Do you provide the tablets? A: If you carry a brand that works with Vapemenu, you are more than likely eligible for a free tablet using their Offer Code. Otherwise, tablets can be purchased through Vapemenu or elsewhere as long as they meet the required specifications. Vapemenu only guarantees that our platform will work on one of three types of tablets, but you can always purchase tablets that match the specifications and see if it runs correctly. Check out the types of tablets in the answer to the "Which Tablets Are Compatible" question above. 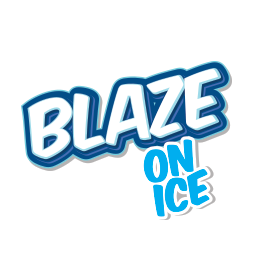 Our partner brands also offer free tablets when you pick up their lines at amazing introductory prices! Once you create an account you’ll be able to see all the deals on offer and requested to be contacted right through your Vapemenu Dashboard. A: Nothing! Vapemenu is a FREE service. 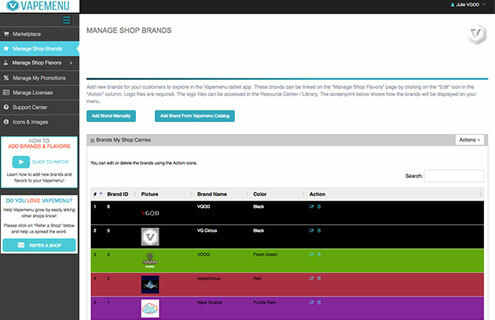 We make money by partnering with brands you already carry such as VGOD, Charlie’s Chalk Dust, Saveur Vape, ESNAXX, Marina Vape and many others. 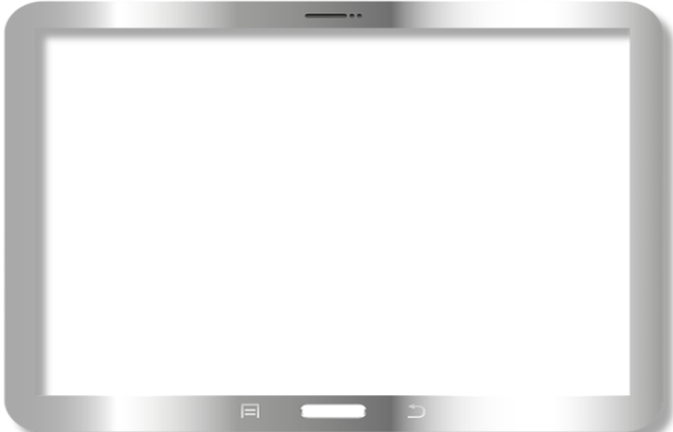 If you carry a brand we work with, we promote that brand on the side of the app. Your sales of that brand go up, and they pay us for the promotion. A triple win! 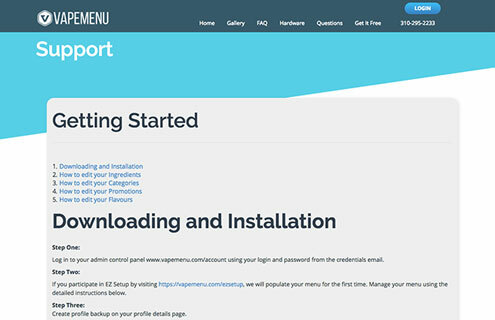 Q: How do I set up my menu? A: Easy! Once you sign up, log in to your account and start to pull menu information from our catalog of over 36,000 flavors! We have tutorial videos and other resources for you to learn how to do this quickly and efficiently. Q: Can I customize it to my shop’s look? A: Yes! 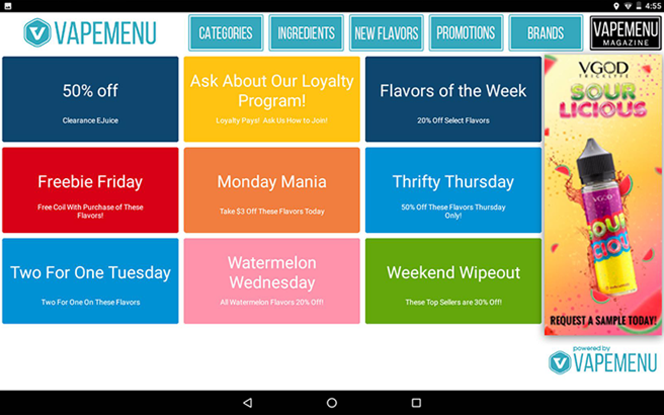 You can brand your menu with your logo, choose from many colors, and customize flavor images and app icons. 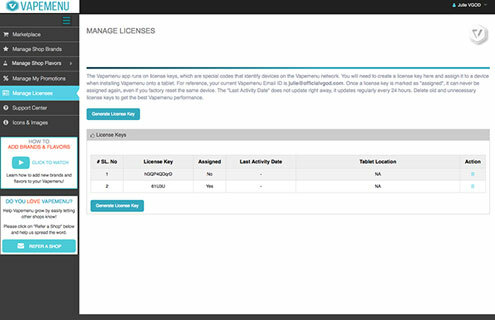 We provide you with the tools to have complete control over your menu at all times. 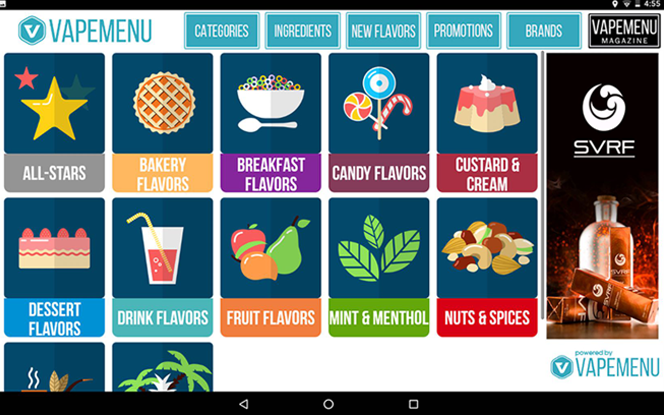 Anything from categories, ingredients, colors, text, and flavor images can be completely customized by you. It’s your menu, so make it yours! Q: Is this an app that my customers download on their phone? A: No. 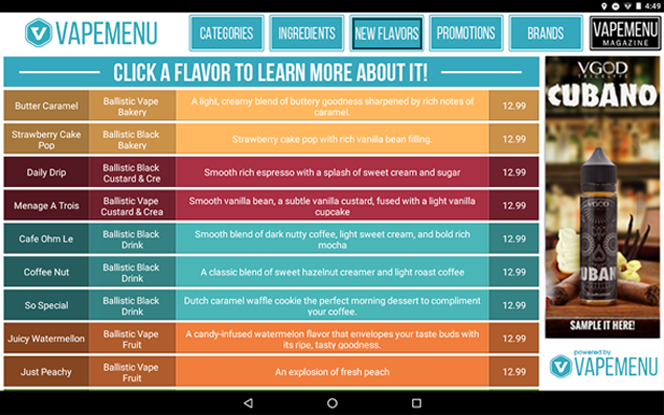 Vapemenu is a business app that is displayed with digital tablets on your bar for customers to enjoy as soon as they sit down. Your unique menu can only be viewed inside your store, drawing customers into your store and shielding your unique offering of hardware and juice from competitors’ prying eyes. Q: We make all our juice in-house and have hundreds of flavors and combinations. 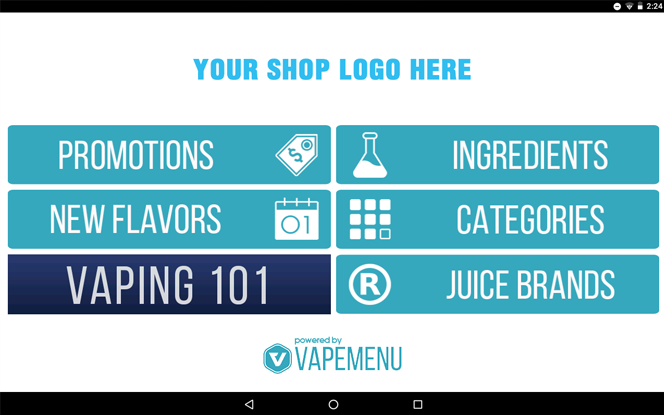 Is Vapemenu also for us? A: Yes, although you would be required to subscribe to the paid version of our app. Please contact us for costs associated with a paid account. Q: We have a small shop with only one person on staff. Does Vapemenu make sense for our situation? A: Definitely. When one person has to serve multiple customers at once, Vapemenu is a lifesaver. Too often, customers don’t want to spend a lot of time reading a boring paper menu, and they all want to chat with the employee at once. 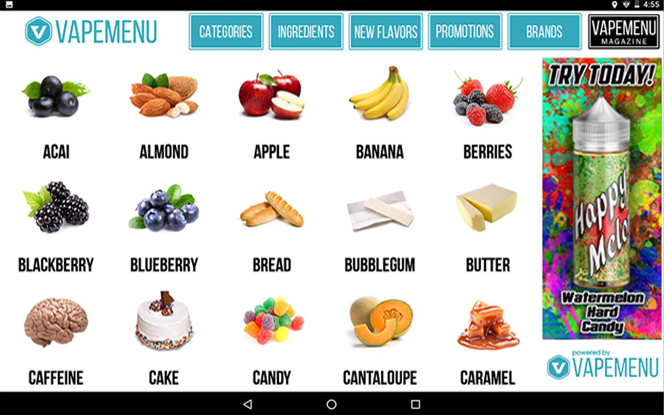 With Vapemenu, it’s a fun experience that entertains customers, allowing the employee to multitask much better. Q: Can I place hardware in the menu as well? A: Absolutely. 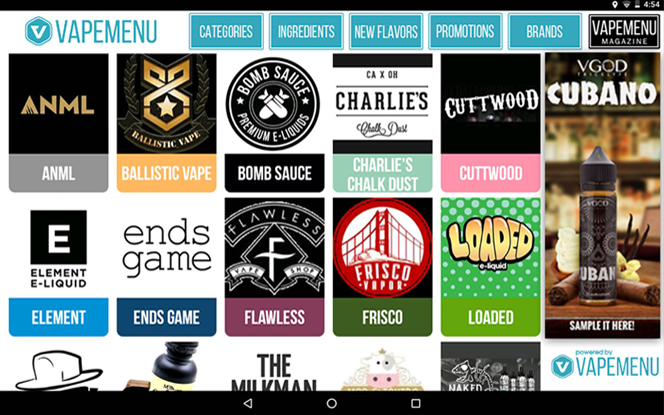 Vapemenu can be your one-stop-shop for browsing everything your shop has to offer. Everything is fully customizable and the possibilities are endless. Placing hardware in the menu is a great way to sell hardware while tasting flavors at the same time. Simply create categories for your hardware, add items, and you’re done! Q: Can I execute mass updates of our menu? A: Yes. An advanced user can manage the menu in spreadsheets that can be uploaded all at once. Backup and restore data without a problem. Advanced and standard users alike can do a 1-touch backup of all account data into a file that can be easily restored. Q: How do I protect the tablets from being stolen? A: You can purchase stands that affix to your bar that would protect them from attempted theft. Q: What if I have multiple stores that all carry the same flavors? A: In that case, you do not need to manage multiple accounts! One account can “feed” all the tablets at all your stores. Every tablet at every store updates instantly once a change is made. Yes, it's great! Our customers and our employees enjoy it, it makes finding flavors so much easier! My customers are loving the vape menu! I will get it on our instagram this week! We appreciate the awesome app! My customers and us here at West Coast Vapes love the Vapemenu. Thank you so much. It is a big hit with our customers! We've got the menu up and running and customers are loving it compared to the old paper menus! We have Vape Menu running in our shop now and everybody loves it!! Customers are starting to notice it and are really enjoying it. I really like the fact that it updates so quickly from the time I save a change on the dashboard to the app already having the saved info. We use it regularly and people love it, we just posted a review on Instagram. We were able to access it and tweak it to our needs. I really like it, customers do, too. Everything is up and running. I appreciate all your help and all you do with this amazing product. The new features are awesome! We appreciate the catalog more than you know! Thanks for a great app. Everything is working out great. Must say the app looks fantastic, well done guys this is exactly what my shop needs. Many Thanks.